Situated on Spain’s beautiful Costa Blanca, the coastal city of Torrevieja attracts property buyers and those looking to rent property from all over Spain, Britain, Ireland and northern Europe. 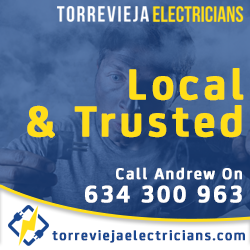 Torrevieja enjoys fantastic weather with over 320 days of sunshine per year and average summer temperatures of around 30 degrees celsius. The nearby salt lakes give the area a unique climate which has been recognised as one of the healthiest in the world. Within the city and its residential areas there are a good selection of fine sandy beaches offering all the usual beach facilities and a choice of nearby bars and restaurants, some situated right on the beach so visitors don’t have to go far to find refreshments. Torreviejas location is perfect for holidaymakers and residents that need to travel frequently as it is serviced by 2 airports. The large international airport of Alicante is around a 45 minute drive from the city and the smaller Murcia-San Javier Airport is about 25 minutes. Within a 15 kilometre radius of the city there is some lovely countryside, Natural Parks, lakes and a selection excellent 18 hole golf courses, including the fabulous 5* La Finca Golf & Spa Resort. 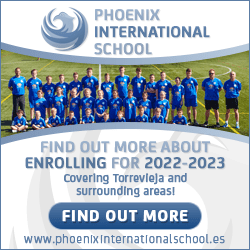 For those that speak Spanish the city offers year round and seasonal employment opportunities, and the neighbouring area of Orihuela Costa, with its large British and Irish communities has many seasonal positions for English speakers. 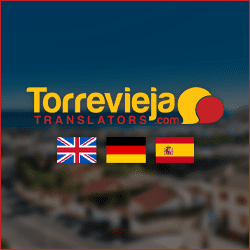 The cost of living and property prices in Torrevieja are a lot lower than in the United Kingdom and many other parts of Europe, although this is reflected in the lower average wage. The property rental costs are a huge attraction for those looking to settle in the area and 2 bedroom apartments can be found for as little as 250€ per month, a fraction of what you would pay for a similar property in most parts of the UK. Food and groceries are pretty much on par with the UK but for those that enjoy socialising, prices in bars and clubs are exceedingly cheaper in Torrevieja. There are about 10 main residential areas in Torrevieja offering an assortment of property types and a range of prices to suit. Properties within the city mainly consist of apartments, from great value studios to large luxurious penthouses, many having lovely sea views. City living is not for everyone but it does have its advantages. There are a number of beaches within easy walking distance, pretty parks, shopping centres, supermarkets, 24hr mini marts, the main bus terminal and countless bars and restaurants. On the downside, you won’t find many properties with gardens and swimming pools, and the traffic noise and available parking can also be a problem. Las Naciones sits on the edge of the city, and although it has its fair share of apartments, there are a few townhouses and bungalows to be found. It is about a 20 minute walk to the nearest beach and is home to the large and peaceful Park of Nations, as well as the popular Habaneras shopping centre and Ozone Leisure Complex. Torreta residential area borders Las Naciones and has a large choice of bungalows, townhouses and villas although many are fairly small and the area is quite densely built up with tiny streets connecting the properties. Most of the houses are in need of a paint job and besides a few shops, bars and restaurants there are not that many facilities. Having said that, property prices in Torreta are some of the lowest in Torrevieja and it is possible to find a 2 bedroom bungalow with a small garden and roof terrace for as little as 40,000€ For nature lovers and dog owners, the nearby salt lake and Natural Reserve is a pleasant place for walking. Also near the salt lake but further from the city centre is El Chaparral that offers similar properties to Torreta and is home to the Flamingo Waterpark, a favourite attraction with the younger kids. 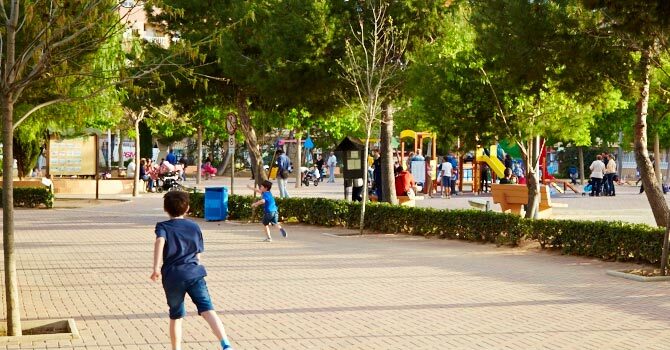 The residential area of Aguas Nuevas lies on the border of Torrevieja and the small town of La Mata with the popular Los Locos beach and residential area just a 15 minute walk away. 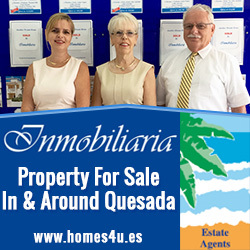 This is quite an affluent neighbourhood and very similar to parts of the Orihuela Costa with a good choice of up-market apartments, townhouses, bungalows and villas. there are a couple of commercial centres, a selection of bars and restaurants and the fantastic Sports City Complex. Although La Mata is a separate town, some class it as part of Torrevieja due to its close proximity to the city. It is a lovely little town with some fabulous beaches and smart properties, many offering sea views due to their elevated positions. Here is where you will find a selection of stunning beach front villas with private pools and landscaped gardens. On the other side of the city are the seaside areas of Acequión and Mar Azul which, apart from city apartments, boast the the most reasonably priced properties for those that are looking to be near the beach. 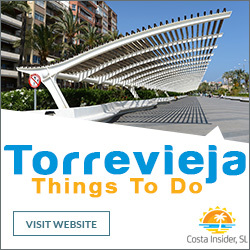 There are amenities such as shops, bars and restaurants, and the bus route to neighbouring Orihuela Costa runs through this part of Torrevieja. Bordering Mar Azul is the popular Punta Prima residential area, a favourite with British expats that has a nice beach, good choice of amenities and various styles of property, many of which are located in gated communities that share facilities like swimming pools, tennis courts and parks. On the opposite side of the salt lake from Torreta is Los Balcones, a large, mainly elevated neighbourhood where you can find studio apartments from 28,000€ to amazing million euro mansions.